Children in Kenya continue to suffer diverse types of violence against them despite the fact that Kenyan laws are prohibiting violence and various prevention measures exist. In order to achieve effective prevention of violence, adequate knowledge of risk factors is imperative. In Kenya, such knowledge is lacking and there is limited attention given to the multifaceted nature of the social environment in which children grow up and how such environments aggravate violence against children as well as hinder prevention measures. This qualitative research applied the ecological model of socialisation of Urie Bronfenbrenner as its theoretical and analytical framework in examining risk factors and consequences, responses and projects. 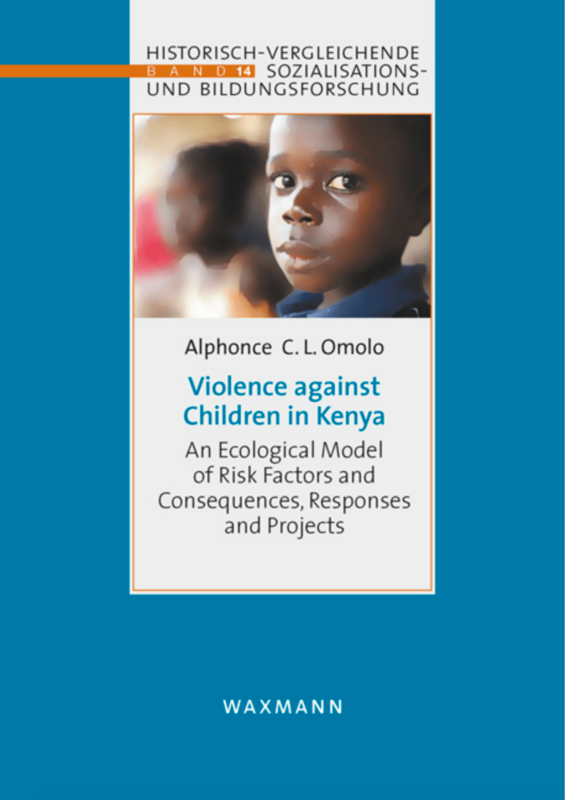 In assessing what is being done to prevent violence against children in Kenya, the author reviews existing projects and policies that shape prevention measures including the possible influence of international conventions. He also analyses diverse sets of ideas, attitudes, philosophies and practices that explain the similar and the different notions of childhood in African and in Western settings. Exploring the social construction of violence, the author examines ideas and discourses that explain the heterogeneous characteristics of violence and how their understanding, occurrence and severity vary from culture to culture.